And nowhere is this sentiment more prevalent than in the often deliriously poetic yet simultaneously devastating prose of Japanese born British novelist Kazuo Ishiguro who chronicled lives spent dedicated to the service of others at the literal and/or figurative expense of his dutiful characters in the ethically complicated and emotionally intricate works The Remains of the Day and Never Let Me Go . 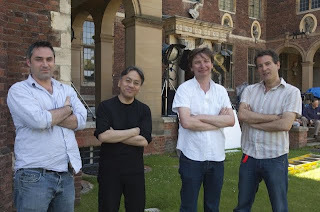 The cinematic adaptation of Ishiguro’s Remains resulted in a masterful presentation of his romantic period drama about the cyclical nature of the sheltered lives endured by interchangeable butlers, maids and other members of a household staff that either stifled their emotions and sacrificed their own free will to please their “betters” or escaped service to embrace the unknown on their own. Yet while Remains benefited considerably by airing out the mothballs often found in literary period costume dramas, unfortunately the same cannot be said for One Hour Photo director Mark Romanek’s undeniably breathtaking but surprisingly unmoving, chilly interpretation of Ishiguro’s acclaimed dystopian science fiction novel Romanek co-wrote with 28 Days Later screenwriter Alex Garland. 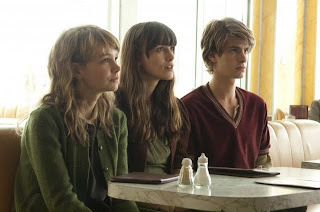 Set in a reconfigured not-too-distant past where breakthroughs in DNA, cloning, and organ transplants ignored stem cells altogether to create an entire race of live donors from birth on up, Never Let Me Go nearly removes the idea of free will from the equation completely so that the onscreen trio of Carey Mulligan, Andrew Garfield and Keira Knightley seem to be playing human robots rather than flesh-and-blood humans. And even though the actors spend so much energy proving that their characters have a soul through their nuanced portrayals, because they’re continually forced not to acknowledge their feelings, everything about the work feels frustratingly shallow and protracted. Likewise while the concept itself is shocking indeed, the most shocking thing about the film is just how unshocking it is as Romanek and Garland’s dull edged, vacuously clinical, claustrophobic translation that treats everything with a matter-of-fact candor without the good sense to respond to the facts presented. 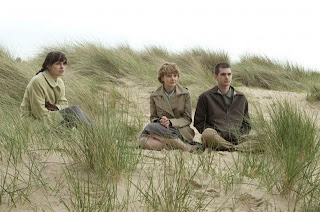 Namely, aside from one sole dissenter in the form of a straight-shooting teacher played by Sally Hawkins who gets fired for revealing just what exactly the short future holds for the children in her class as well as one feeble attempt at bargaining by a main character, we’re left dissatisfied by the narrow scope of the film. While the filmmakers attempt to involve us in the film’s central love triangle between our doomed leads in an adaptation that likewise seems to have been the result of a literary love triangle that’s equal parts Dickens, Kafka and Huxley, it always feels secondary to the topical elephant in the room that’s never being addressed. Needless to say, a happy ending or even a contrived political subplot would’ve been out of place. Yet instead of an allegorical, existential call-to-action to reevaluate our lives or perhaps remind us that we’re all potential “donors” (and even the stance on this is shady! 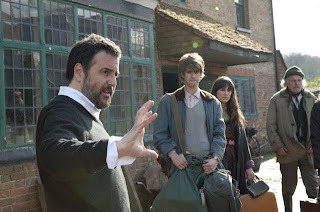 ), the work is vague to the point that even the cast members have incredibly different ideas on what the film is about. Furthermore, ultimately you wonder if those in charge knew precisely why they were making the film in the first place. 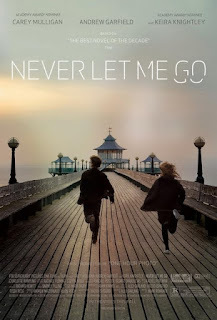 While it’s all well and good to leave the final interpretation up to the viewers since cookie cutter conclusions are the death of cinematic creativity, the fact that it’s sadly way too easy to “let go” of Never Let Me Go is precisely the problem when you consider the overall plotline. And despite the immense beauty of the sweeping production values from Adam Kimmel’s cinematography to Rachel Portman’s music which are both served well in this exquisite Blu-ray transfer, Romanek’s film about three twenty-somethings who know they’ve “Gotta Serve Somebody” ultimately neglects to serve the audience in the process.